House full of Huff's: A difficult loss. Hi guys, it's been a while, huh? There's a lot to catch up on but first, I want to put out a disclaimer of sorts... Writing is therapy for me. Getting my thoughts on paper (or computer) helps me sort out my feelings and emotions, that being said, this post will not be for everyone. It's hard for me to write, it was hard for me (& Billy) to go through, it's emotional and raw but ultimately important to me. 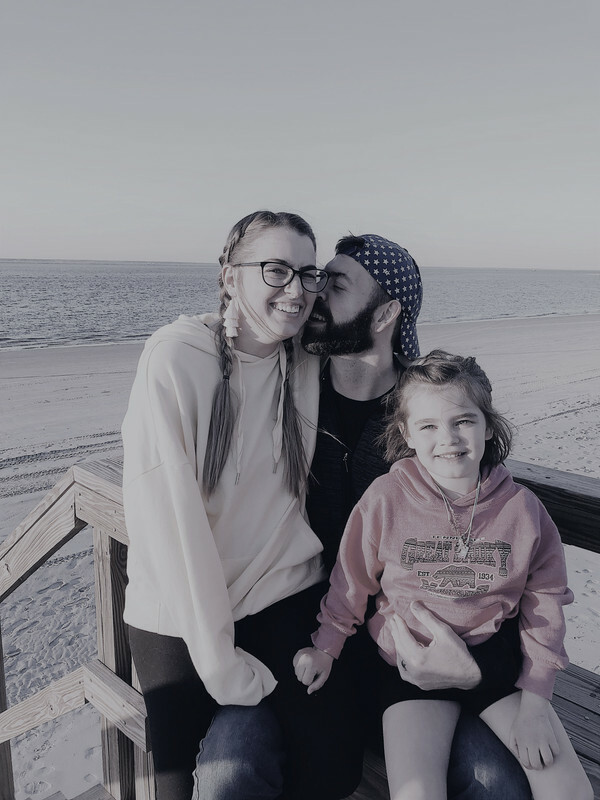 I put a lot of our life on this blog, mostly because I absolutely love to look back at what we've been through; vacations, Abigail's milestones and funny stories... all of it. But it's not all happy and this is an example of a not so happy moment in time. I do know that it was comforting reading other peoples stories while I was up all night with worry. So if you've been through this, if you're currently going through it or know someone that has, you are not alone and it will be okay. Today I would have been around 10 weeks pregnant and announcing it right here on this blog soon. Instead, I am recovering from a miscarriage that has carried on now for about 6 weeks. On the night of December 8th, I was laying in bed and couldn't get comfortable. I was wearing a pair of shorts that had a band around the waist and remember thinking I couldn't have them touch my stomach because I was so uncomfortable. The next thought I had was was, 'I'm pregnant'. I didn't say anything to Billy (I'm pretty sure he was already sound asleep next to me) instead, I woke up the next morning, dropped Abigail off at school, went home and took a test. It showed up positive almost immediately. I was shocked & excited! Billy was at work, but knew we would be meeting up at Abigail's school later for her holiday presentation, so I would tell him then. We decided to take her for ice cream after her show and because I couldn't hold it in any longer, I told him before we got out of the car. He too was shocked and excited! We ended up coming home for the night,where I ended up getting a terrible migraine and went to bed. I woke up the next morning and called the doctor to make our first appointment. They see you for the first time at 6 weeks, and since I knew exact dates, I made an appointment 9 days out, when I would be 6 weeks and 2 days. The next 9 days was a combination on anxiety and fear. For some reason, something just felt off. I'm not really sure how to explain it, it was just a feeling. I wasn't showing many signs or symptoms of being pregnant, morning sickness especially. When I was pregnant with Abigail, I was sick from the day I found out (around 5 weeks) until the day I had her. Violently sick. Nauseous every second of the day and throwing up at least once a day, usually way more than that. But this time, I felt fine. A bit of nausea here and there but nothing compared to what I had previously been through. I started to Google (the worst, but it is what it is) and while I know that all pregnancies are different, statistically speaking, you don't go from that sick to nothing. So for the next 9 days, I waited nervously and anxiously for our appointment. We decided not to tell anyone until after this appointment. The day of our appointment, Billy and I were sitting in the office, going over things with my doctor, when he asked me how I was feeling. When I told him that I felt perfectly fine and that worried me a bit, he fit me in for an immediate ultrasound. He didn't seem concerned, but he wanted to ease my mind. He told us that since we were only 6 weeks and 2 days, it may be difficult to see a heartbeat, but we could give it a try. We went back into the ultrasound room and after the tech was done taking all of her pictures, she told me that I was only measuring 5 weeks and 4 days and that a baby couldn't be seen yet (which was normal for that time). She told me not to worry, because my dates were probably just off. When she left the room, I looked at Billy and said 'my dates aren't wrong'. We left that appointment feeling worried and unsettled with an appointment for two weeks out. Billy and I talked a lot the next 3 days about whether or not to tell my family what was going on. While I wanted them to know, I also had this vision of a big, exciting reveal. Ultimately, we decided that I couldn't go through Christmas Eve, Christmas Day and New Years Eve, spending every moment with my family and having them not know (hello, no drinking). So on Christmas Eve, we cautiously told everyone, including what happened at our first ultrasound. It was a relief to tell everyone, but difficult telling them not to get too excited. A week after our first ultrasound, I started to have some concerning symptoms (spotting, but no cramping)and I called my doctor. They wanted to see me right away for an ultrasound. I should have been at least 6 weeks and 4 days. I only measured 6 weeks, on the dot. We were able to see a heartbeat, but it was only 83 bpm. It should have been over 110 bpm. Once we met the doctor, we were prepped for a miscarriage. The doctor told us that my body would most likely start the process on it's own and we kept my next appointment a week later to see how things were going. The next week was agonizing. Billy was working the busiest week of his career (72 hours in ONE WEEK), so I spent the next 4 days at my parents house. I was depressed, sad, anxious... I felt like I was on the verge of a mental breakdown. We went to our next appointment on January 3rd, hoping for a definitive answer. Either there was going to be a strong heartbeat (and the first ultrasound was a fluke) or no heartbeat and I would be able to get assistance to help my body with the process. Our ultrasound showed 4 days of growth (should have been 5) and still only a heartbeat of 85 bpm. We was devastated. I felt at this point, I had been through such an emotional roller coaster and honestly wasn't sure how much more I could take. We spoke with the doctor and she told us that there really was no way that this was going to end with a viable pregnancy, however, since there was still a heartbeat (very, very low, but a heartbeat none the less) there was nothing she could do for us, except tell us to wait. For the next 9 days, I waited. And overthought. And was depressed. And closed off. And faking happiness. And waited some more. I waited and waited for my body to do what it was supposed to do, and it didn't. And on Wednesday, the 11th, I broke down and called the doctor again. They fit me in for another ultrasound almost immediately, where it was confirmed that there was no more heartbeat. 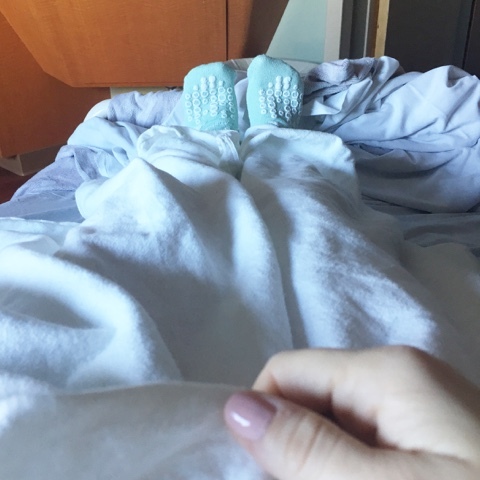 While we were grateful to have an answer, I left feeling just as devastated as I did after the first ultrasound. I was given medicine to take to help my body speed up the process and shortly after leaving the doctor and getting settled for the night at my parents (Billy had to work all night and I didn't want to wait any longer), I took the medicine. I was nervous, because it's not an easy medicine to take. There are side effects and pain, physically and emotionally. The medicine typically starts to kick in about 4 hours after you take it. Mine didn't kick in until 36 hours after I took it. And we still aren't sure if it worked completely. We go back for a final ultrasound on the 25th. So I wrote everything in this post before today, the 19th. About a day after I finished writing it, thinking I would just come back after the 25th to say things worked and I was on the up and up, I was walking into Target and started severely hemorrhaging (not going to go into too many gory details, but the past 24 hours have been the scariest of my life). I ran back to my car, confused because I thought I was done miscarrying. Everything my body had put me through the past 2 weeks should have been an indicator that it was done, but it wasn't. It hadn't even started. I raced to my parents house, calling Billy on the way. I was in an absolute hysterical panic. After about an hour of being at my parents, in the shower, I started to get dizzy and lightheaded from blood loss and knew I needed to get to a hospital. So my mom drove me to the ER (while Billy tried to find coverage at work to leave) and I was checked in immediately. I started to have really sharp contractions and was in full blown labor shortly after. I had my vitals and blood work checked when I got there, exams and ultrasounds. The blood work showed that my hemoglobin (blood levels) were on the low end of normal at 10.9, and during my exam the doctor was able to help my body push things along. The next 4 hours were excruciatingly painful, physically and emotionally. I knew I was still losing a lot of blood and kept telling the doctors. They eventually took my blood work again and my blood levels were now at a 6.2 (very, very low). I started to have more severe pain and then my blood pressure dropped really low. I looked over at Billy (who made it about an hour into being there) and told him I needed a doctor instantly, but by the time they came back I was ghost white, sweating from head to toe, throwing up and seeing black. There's a technical word for what happened, but I don't remember what it is, so we'll just call it 'my luck' and move on. Shortly after, it was decided that I would need to be transferred to another hospital in order to get a blood transfusion and emergency surgery to finish the job my body was giving up on. A few minutes later, I was loaded into the back of an ambulance and rushed to another hospital's operating room. The procedure only took about 45 minutes and I ended up needing two blood transfusions. The rest of the night was a blur (my surgery wasn't over until 1am, so it was a long night for everyone). I didn't get much sleep last night and spent the majority of today in the hospital. I am happy to report though, that I am home and feeling much better. My hormones are out of whack (understandably) and I have to watch for signs up infections but I'm feeling better. And hopeful that this was actually the end of it. The past 6 weeks have been the hardest of my life. I am emotionally exhausted. I look like I've been hit by a truck. I've missed a lot of work. I've spent SO MUCH money on doctor's appointments. I've asked 'why'. I've blamed myself. I've told myself it isn't my fault. And I've cried. Oh, how I've cried. I stopped using social media because I didn't want to fake being happy when I wasn't. And I'm still so sad. But everyday is getting a little better. The last few weeks of 2016 and start of 2017 have really been tough for us, starting with Abigail's accident (and dealing with severe anxiety from it), and then being in the hospital and then a miscarriage, but we are determined to get back to some sort of normal life. I'm happy to be sharing what we've been going through and then moving on from it. And before I end this post, I have to give the biggest THANK YOU to Billy and my parents. Billy has done everything he can to make sure I am taken care of... my parents have literally put their lives on hold to take care of me and Abigail. They've cancelled plans, rearranged their schedules and picked up the pieces when I couldn't. I will be forever grateful. If you've made it this far, thank you for reading. I'm excited to get back to posting and sharing our lives here. It's probably just going to take some time. So sorry to hear you went through so much Jenn :( hoping you and Billy have a better 2017! Thanks Katie. Definitely hoping 2017 only goes up from here! Thank you so much Dana! Yes, I know how alike our families are, so I know you know how much they have been there for me. I'm so sorry to read this. Absolutely devastating for you and your family but I'm glad you were able to get it all out and begin to heal. I hope you recovery quickly from everything you went through!! So sorry to hear what you've been going through. You're so incredibly strong and brave, and your family on this side of the pond are thinking of you.